When the art of tattooing meets the baddest bikes around. Tattoos go hand in hand with bikers. It’s just the way it is. 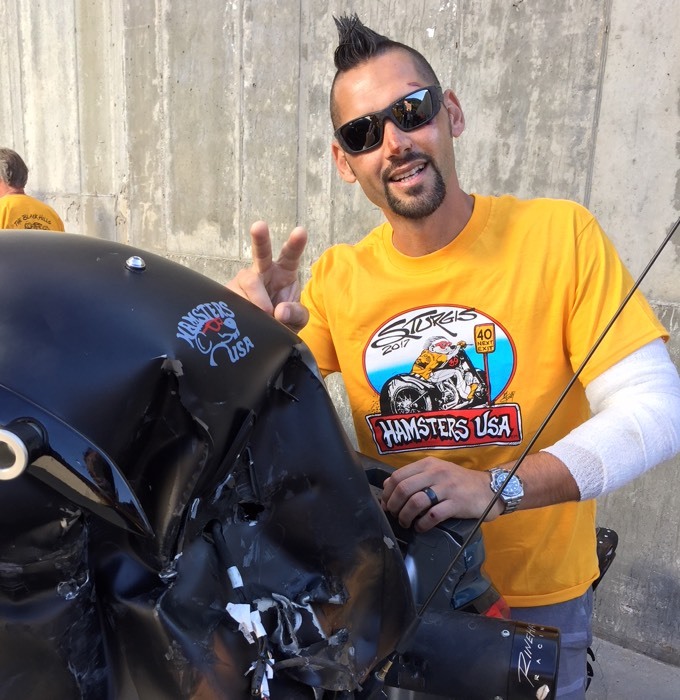 Kameron Amstutz, owner of Music City Indian Motorcycle, comes from the ‘biker’ side of that equation. He’s been into bikes his whole life—the culture, the speed and the freedom. And when he speaks about tattoos and bikes, it’s an understatement for Hart & Huntington. 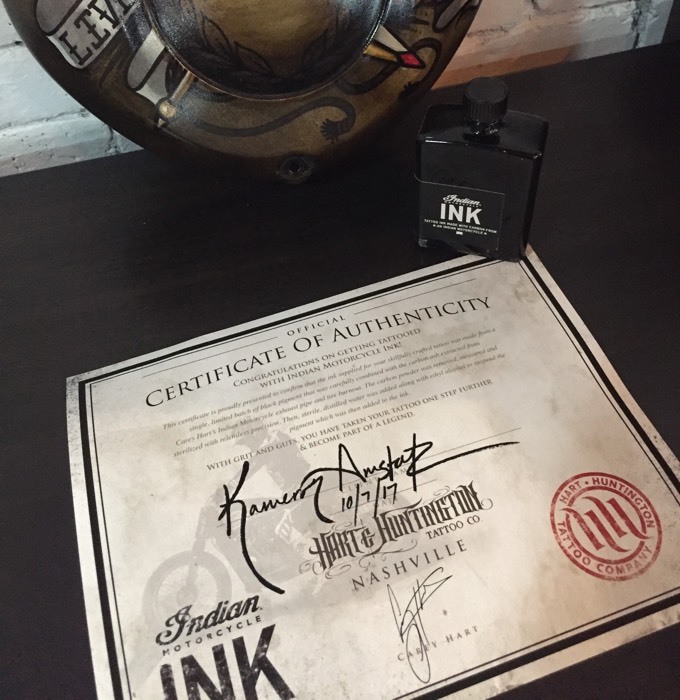 Hart & Huntington’s story is part ink, part fuel. Because of Carey Hart, the motorcycle culture is more a part of our story than anyone. So when the opportunity to create motorcycle ink tattoos opened up, it was a no-brainer. But it couldn’t be just any bike fuel. That’s why we created Indian Motorcycle Ink tattoos. Kameron (Kam) describes Indian Motorcycles as the Bentley’s of motorcycles. They’re exclusive, timeless and built to perfection. We’re selling a lifestyle. You pull up on an Indian motorcycle, everyone wants to talk to you about it. And Kam would know. He’s been into bikes his whole life, minus only four years. My uncle had 140 aces of land to ride on and I remember the first time my granddaddy cut me lose. I was four years old. It was my first taste of freedom. You never forget that. He never left it, either. He still remembers his idols from back in the day. Steve McQueen, Malcolm Smith, Evel Knievel and Supercross’s Ricky Carmichael and Carey Hart. Those guys were amazing, they took Supercross from backyard to mainstream. He even rolled up to school on a motorcycle at only 14 years old. 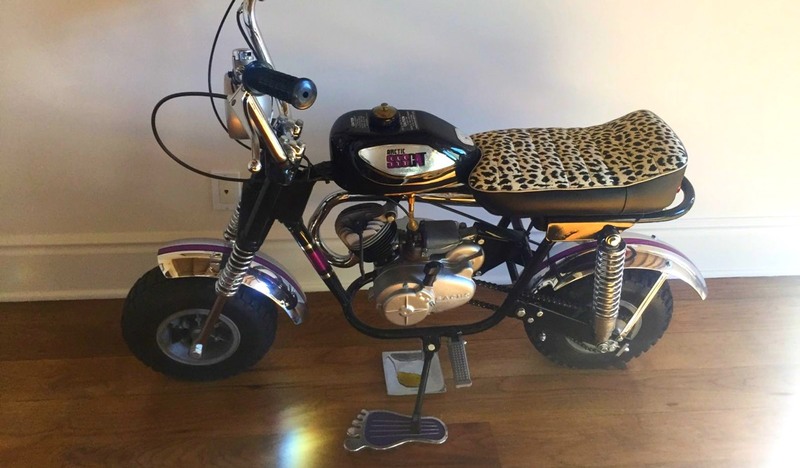 Let’s face it, you get a motorcycle to hook up with chicks. It worked. He’s been with his wife since middle school. In fact, one of his sleeves is artwork dedicated to her. Everyone of my tattoos have meaning. The right sleeve is for my honey, the left is for motorcycles. Kam loves to get out there on the open road. When he travels, he makes sure he gets a ride in. I’ve been all over the world on motorcycles. I always try to tie in a bike ride anywhere I travel. You catch scenery you don’t get to catch in a cage. Some of the most breathtaking scenery is here in the U.S. and the only way to truly experience it is on 2 wheels. On a recent ride, Kam had a little accident and was very lucky. 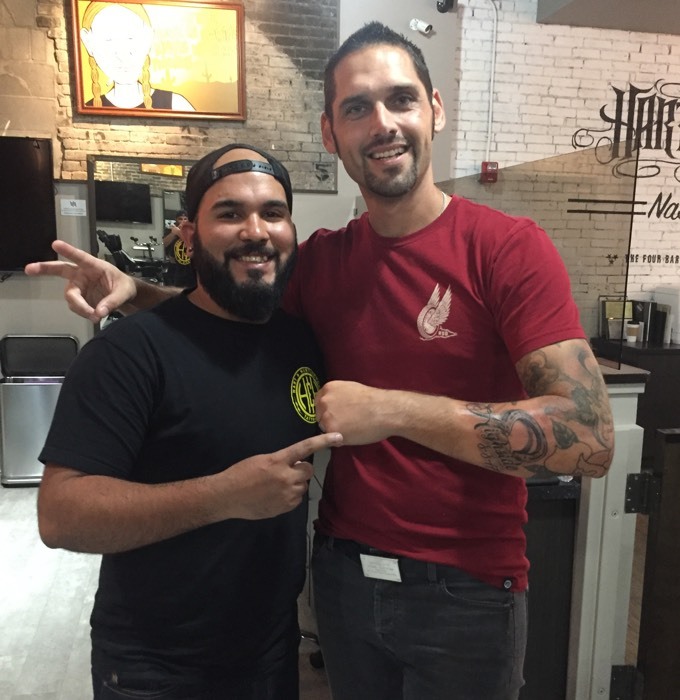 To remember to slow down and be safe, he got a tattoo from our very own Luis Morales. Luis crushed my tattoo, I love it. I’ll definitely be back to see him for my next one. He’s a big fan of Hart & Huntington overall. Those guys are true professionals. You can walk into any shop and get a great tattoo. The vibe is rad the staff are awesome. So he wants to invite others into the Indian Motorcycle Ink club. Right now, if you buy a bike from Kam, you’ll get a Hart & Huntington tattoo, free. It’s a cool idea and something not just anyone out there will have. Then you’ll really be in the club. Luis applies detail to Kam’s tattoo. 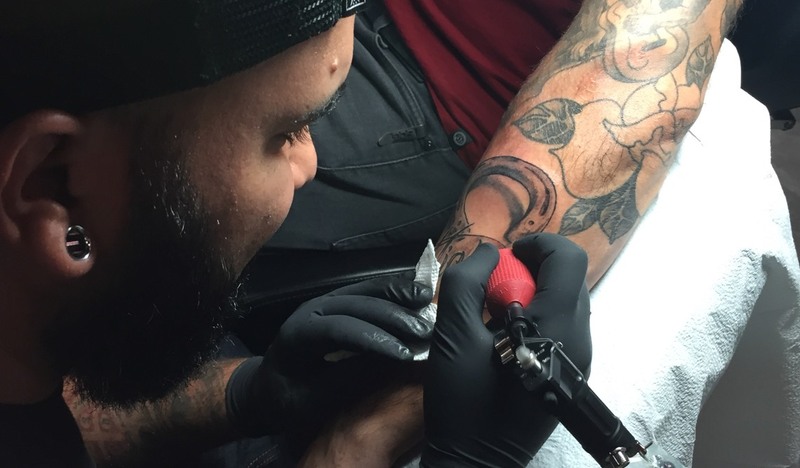 If you’re looking to rock Nashville in a tattoo, these may give you some ideas.